Belgian Dark Strong, or Quad, is really a great style and is a great change of pace as a sipper over the Imperial Stouts we all love in the colder months. I'll get this out of the way early, this beer we brewed here is fantastic, which is a testament to the group of us who brewed it. Myself and three other Brewers all brewed the same recipe, the one that I designed with a fairly simple grain bill and dark candy sugar, then blended it all into the barrel. When we got together, each with a keg in hand, I was curious to see how different each persons batch would be. To my surprise, they really weren't much different at all, and each came out as I had envisioned them to . They were all fermented cleanly, dry, with complex dark fruit notes all indicative of the classic notes of the style. Before they were all blended into the barrel, where it will age for 4 and 1/2 months, I knew we would have a winner. 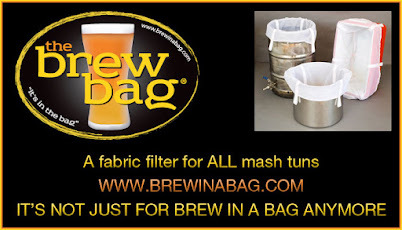 I discussed in the Brewday post on the classic vs new world techniques to brew this style. I took a little from both but kept it mostly quite simple while relying on the dark candy sugar and a good fermentation to achieve a complex big beer. I like to keep my grain bills quite simple so as not to end up with a muddled malt soup, but at the same time I wanted the base beer to be able to hold up to a fairly aggressive barrel character. I'm happy to say that this recipe worked really well as both a barrel aged and a non barrel aged beer(notes comine up on the base beer soon). There was really nowhere to hide off flavors here, turns out we didn't need to. Appearance: Deep dark Mahogany color with red highlights, Crimson red when held to the light (Roll Tide?). Off white Rocky head, leaving a ring on the glass with every sip, legs for days as some might say. Aroma: Vanilla, oak, whiskey, dark fruits, all blending together beautifully. A really complex inviting nose. Flavor: Silky smooth body, which I attribute to the barrel because this beer was quite dry. Whiskey, giving way to some dark fruits, dates, raisins and vanilla from the oak. It's like whiskey dipped, vanilla covered dates and raisins. No real alcohol burn, smooth and warming but the heat isn't there. Final thoughts: This beer screams drink me by a fire in the fall/winter, I am actually surprised that it has lasted as long as it has as I have been hitting this tap quite often. The barrel character in this beer is really perfect, the whiskey is subtle but the oak pairs very well with the dark fruits. It has some similarities with Boulevard's BBQ, minus the cherries of course, but a more robust barrel presence. I must say, I am in love with this beer.